Happily, the folks at Time-Life finally made it work, so The Wonder Years arrives on DVD via this “Complete Series” package – and with most of the original music intact. More on that subject later. For now, I’ll look through all six seasons of The Wonder Years. Because this encompasses more than 100 episodes and I’d like to finish the review while I’m still (sort of) young, I’ll sample the programs. I’ll check out one show per disc for a total of 22. The plot synopses come from the Time-Life website. Pilot episodes tend to be dodgy, as they can often seem disconnected from the series that follows; they may have the basics but a lot can change between these initial explorations and the programs created later. In this case, though, “Pilot” sets the stage quite well. It demonstrates the series’ deft handling of comedy and drama and manages to set up its characters in a satisfying manner. It becomes a good launch to the series. Virtually all males can relate to Kevin’s situation here, and “Call” relates the circumstances in lively manner. It plays the events for laughs most of the time – and works too hard to tie Kevin’s tale to the space program – but it ends up as a likable, entertaining show. Even though I went to middle school a decade after this episode’s time frame, our “stoner kids” looked just like Gary: same clothes, same hair, same everything. 35 years later, suburban “bad boys” probably still remain identical. That aura pervades “Darkness” and allows it to become another sold program. While much of Wonder Years remains timeless, its depiction of parental relationships threatens to seem more dated just because those situations have changed a lot over the last 45 years. Still, “Pottery” manages some good observations, and it’s nice to see the parents come to the fore. Kevin’s subplot about his fears of Armageddon works less well. Like most shows, “Nemesis” hits on social truisms, but it does so in a less deft manner than usual. At times, the show comes across with an Afterschool Special feel. It manages more cleverness and humor than that implies, but it’s not one of the series’ better episodes. I remember the last day of seventh grade. It wasn’t quite as eventful as Kevin’s, so I doubt it’ll inspire too many TV episodes. “Summer” comes across as a little exaggerated but it still captures the spirit of the event and brings us good laughs. “Song” doesn’t soar, but it offers a pretty good little look at the stereotypical family vacation. It mixes comedy and drama in the usual way and becomes an enjoyable – though not great – show. As one might expect of a show about facial blemishes, “Pimple” mostly plays things for laughs, and it offers decent amusement. That said, it pushes dopey comparisons to natural disasters too much of the time, and it comes with a highly predictable conclusion. These facets mean the episode seems less than stellar. Since I’m sampling Wonder Years and not viewing every episode, I can’t easily assess trends. However, I get the impression the series went broader as it progressed. Like “Pimple”, “House” tends toward some over the top elements that can grate at times. Also like “Pimple”, this one entertains, but I think the series feels less real as it goes, and that’s not a good thing. After the exaggerated comedy of the last few episodes I screened, “Moving” brings us a more serious orientation. It still uses the deadpan science teacher for dopey commentary, but those elements stay in the minority. Instead, “Moving” offers a good look at the series’ characters and situations. S4’s opening episode picks up where “Moving” left off and pushes events in a positive manner. We find a nice examination of the Arnold family and connected topics in this enjoyable, well-balanced show. School elections weren’t fresh as sitcom fodder even in 1991, but that doesn’t mean “Candidate” flops. Although it doesn’t manage much that I’d call new, it entertains – and feels like a precursor to 1999’s Election. Though a bit more stylish, “Yearbook” reminds me an awful lot of Season Two’s “Nemesis”. Both focus on the ramifications of bad-mouthing peers behind their backs, and both lecture the audience more than usual. “Yearbook” works better than “Nemesis” but it still seems like a moderate misfire. To a moderate degree, “Lake” feels like a rehash of Season Three’s “Summer Song”. It brings out more adult themes – no one owned condoms back in S3 – but it still comes across as somewhat derivative. In the sample of episodes I’ve viewed, the series hasn’t done much to elevate Wayne above the level of the mean-spirited, lame-brained older brother. “Butthead” manages to give him more personality and depth, though I’m not wild about its on-the-nose involvement of the Vietnam War. Still, it’s good to get greater breadth to Wayne. After the drama of “Butthead”, we get a better dose of comedy in “Date”, though that doesn’t mean it lacks character drive. The Kevin/Winnie dynamic develops in a positive manner and allows this to become a quality show. Season Five essentially ends with “Lake”; true year-ender “Broken Hearts and Burgers” offers little more than a clip show. “Lake” covers the teen move into the working world and does so in a convincing manner. Add to that a pleasant reunion with Kevin’s lost love Cara and the show finishes the year well. The series’ final season opens with a show that sets up the year pretty well. It feels a little heavy on exposition as it brings all the characters/situations up to date, but it usually does this in a smooth manner. The program begins things well. Future star alert: Giovanni Ribisi played a recurring role in S6, and this acts as his debut on the show. I can relate to this episode, as in 1986, I “borrowed” my stepmother’s car to drive to New Jersey to see a day-long show with U2 and the Police. I said I was driving to a bus station, which is sort of true – the bus went to Giants Stadium, didn’t it? I always wondered if my parents noticed that the car’s odometer had about 500 more miles on it Monday than it did when I left Sunday. “Stones” helps capture “teen logic” and such instances well. The show gives us a good comedic take on the topic as well as the idiocy of teen rumors. “Stones” ends up as a quality program. Stories about unpleasant relationships with in-laws aren’t exactly fresh, but “Reunion” gives us an entertaining spin. After six years and 115 shows, Wonder Years concludes here. “Day” wraps up the series in a neat and tidy manner – probably a little too neat and tidy, to be honest, as it leaves us with no sense of mystery. If you want answers to what happens with Kevin/Winnie and other areas, you’ll get them, but I’d like something a bit more open-ended. Honestly, even with its flaws, Season Four’s “Graduation” offered a much stronger “ending” than the sappy “Day”. That shouldn’t be viewed as a negative commentary on the series as a whole, though. Inevitably, Wonder Years came with its ups and downs, but it usually remained on the positive side of that ledger. It remains a sweet, endearing and honest series. The tracks did open up some as the series progressed. For instance, in the finale, a thunderstorm used the side speakers in a reasonable manner. Moments like that remained rare, though, as the majority of the time, the shows offered limited use of the side channels. As I mentioned briefly during the body of my review, the DVD replace some of the source music found on the original shows. This became nearly inevitable due to the sheer number of songs involved, as the series featured nearly 300 tunes across its six-season run. Apparently Time-Life was able to clear all but 14 of these. While it’s a shame the DVDs couldn’t include those as well, I can’t complain, as the package retains about 96 percent of the original numbers. Some of the replacements fare better than others, of course, but I get the impression the set’s producers did their best to make the alterations as smooth as possible – well, except for that awful faux “Light My Fire” I referred to earlier. Across a mix of platters, we get an array of extras. On Season One Disc Two, we find three components. Highlights from Cast Reunion runs 20 minutes, 23 seconds and includes actors Fred Savage, Danica McKellar, Josh Saviano, Alley Mills, Jason Hervey, Dan Lauria and Olivia d’Abo. They chat about Kevin/Winnie’s first kiss, working with each other and other general areas. With approximately 928 hours of interviews yet to come in this set, I expect lots more detail in subsequent programs, but “Highlights” offers a nice overview/entry. The Early Days of The Wonder Years lasts 24 minutes, 35 seconds and offers info from Savage, McKellar, Hervey, Saviano, d’Abo, Mills, Lauria, co-creators Neal Marlens and Carol Black as well as location manager Alicia Alexander, actors Daniel Stern, Crystal McKellar, and Robert Picardo, composer WG “Snuffy” Walden and mother Mahaila McKellar. “Days” looks at the show’s origins and path to the TV screen, characters and themes, cast and performances, music, sets and locations, and the program’s reception. “Early Days” gives us a quality introduction to the series’ origins. S1D2 ends with Cast and Crew Interviews. We find sessions with creators Neal Marlens and Carol Black (33:53) as well as actors Fred Savage (29:24), Danica McKellar (12:17) and Josh Saviano (21:34). Across these, we hear more about the series’ origins and development, how the actors got their roles, characters and performances, balancing acting and school for the kids, music, and thoughts about specific S1 episodes. These add up to give us useful notes about the various topics. When we head to Season 2, Disc 4, we start with School Days. The seven-minute, 52-second “roundtable discussion” involves Savage, McKellar and Saviano, as they chat about aspects of school sets and their education during the shoot of the series. That creates an unusual and interesting subject that the participants cover well. The Times They Are A-Changin’ fills 28 minutes, 45 seconds with notes from Black, Saviano, Hervey, Picardo, Lauria, Mills, McKellar, Savage, d’Abo, Marlens, key grip Skip Cook, executive producer Bob Brush, producer Bruce Nachbar, and actors Wendel Meldrum and Seth Green. “Times” reflects the late 1960s social/political climate and the ways the series reflected those areas. The show examines both era and episode issues in a satisfying manner. S2D4 finishes with more cast interviews. Here we find Daniel Stern (30:59), Dan Lauria (20:43) and Alley Mills (33:34). These look at how the actors got their roles as well as aspects of their characters/performances and various experiences. All three offer fine information, though I like Stern’s chat best of all, largely due to his unusual perspective – and I’m glad he explains his ugly beard, too. From there we shift to Season 3, Disc 4 and Hall Pass Roundtable. This seven-minute, 54-second piece features Danica McKellar, Fred Savage and Josh Saviano as they discuss more of their experiences during the series, with an emphasis on Season 3 episodes. This becomes another enjoyable chat among the old co-stars. A Family Affair: At Home with the Arnolds occupies 26 minutes, 33 seconds with notes from Marlens, Savage, d’Abo, Brush, Lauria, Mills, McKellar, Saviano, Hervey, writer/producer Mark B. Perry, writer/producer David M. Stern and executive producer Michael Dinner. “Affair” focuses on the Arnold family, with a look at characters and performances. The show touches on a nice mix of issues in a coherent and compelling manner. This platter concludes with additional cast interviews. This time we discover chats with Olivia d’Abo (33:34), Jason Hervey (23:31), Danica McKellar (15:59) and Crystal McKellar (20:54). As with earlier interviews, these tell us how they actors got their roles as well as aspects of their characters and performances. All provide good information, and it’s especially fun to hear from Crystal McKellar, as she offers a different perspective than the series regulars. When we transfer to Season Four, Disc Four, we locate ABC: Teachers That Made a Difference. It takes up 36 minutes, 20 seconds with info from Meldrum, Savage, Saviano, Dinner, Picardo, Marlens, Brush, Lauria, Danica McKellar, Perry, Picardo, David M. Stern, producer Ken Topolsky, and actor Ben Stein. As expected based on the title, this show examines cast and characters with an emphasis on the series’ teachers. As much fun as it is to hear from the leads, I really like the glimpses of the supporting roles, so that makes “Difference” another quality program. Inevitably, more cast interviews arrive on S4D4. We discover sessions with Fred Savage (21:21), Robert Picardo (37:37), Ben Stein (15:09) and Wendel Meldrum (12:38). Once again, we learn more about how various actors got their roles as well as aspects of their characters, performances and experiences, with a focus on teachers once more. Savage’s comments are a little blah – he focuses on how much fun everything was – but overall, the chats work well, and it’s nice to hear more from the supporting actors. Time to head to Season Five, Disc Four and That’s a Wrap! Mark B. Perry’s Farewell Set Tour Season 5. This featurette runs three minutes, 56 seconds and gives us archival footage from 1992. Perry takes us through the sets and also gives us modern narration. Though brief, this offers a positive addition to the package. 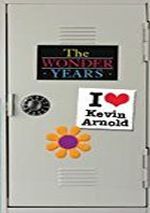 Will You Love Me Tomorrow: The Wonder Years’ Love Stories takes up 26 minutes, three seconds with notes from Savage, Saviano, Picardo. Hervey, David M. Stern, Crystal McKellar, Perry, Brush, Dinner, Daniel Stern, d’Abo, Mills, Lauria, and actor David Schwimmer. 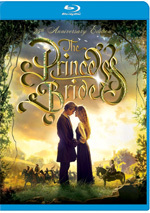 Like the featurette’s title says, this one looks at various romances found through the series. Happily, it focuses on relationships other than Winnie/Kevin; we get enough of that topic elsewhere, so I’m glad to learn about others like Karen and Michael. Two more cast interviews arrive, as we hear from Olivia d’Abo (35:36) and David Schwimmer (40:07). D’Abo covers additional character/episode topics that expand on her thoughts from her Season 3 chat, while Schwimmer discusses how he came onto the series and aspects of his role and experiences. Both are good, though I’m most pleased to see Schwimmer; given how much subsequent success he enjoyed, it’s cool to hear Schwimmer reflect on his earlier days. With Season Six, Disc Four, we discover the One-Hour ABC Broadcast of the Series Finale. This simply takes the series’ last two episodes – “Summer” and “Independence Day” – and shows them as one long program. I’m not sure why the main portion of the DVD separates them, as it makes sense to watch them as they originally aired. At Last: The Final Episode goes for 16 minutes, 19 seconds and offers info from Savage, Hervey, Danica McKellar, Saviano, Lauria, Dinner, Brush, Topolsky, Daniel Stern, Nachbar, Perry, d’Abo, Mills and TV critic David Bianculli. As expected, the featurette examines issues related to the Wonder Years finale. The show provides a good array of details connected to the series’ finish. Next we get another interview. This time we hear from producer Bob Brush, as he chats for 54 minutes, 50 seconds about how he came onto the series and a variety of aspects related to the show. Brush offers a good recap of issues like music, cast/characters and narrative areas in this informative piece. S6D4 concludes with From the Vault: Alley Mills and Bob Brush Letters. The four-minute, 40-second piece presents remarks from Mills as she comments on and then reads missives between herself and Brush at the time of the final episode. The short offers an intriguing look at feelings from 1993. In addition to the extras on season DVDs, we find four bonus discs. The first of these launches with 16 Years Later, a May 2014 cast reunion. In this 51-minute, 53-second piece, we hear from Olivia d’Abo, Jason Hervey, Alley Mills, Danica McKellar, Fred Savage and Josh Saviano. They discuss their casting and connections with each other, characters and performances, and general series thoughts. I like the interaction among the actors and they deliver some good memories about the show, but this can devolve into a mutual admiration society too much of the time. It’s still an enjoyable program, though. Next we find a collection of Pilot Episode Outtakes. These run 19 minutes, 43 seconds and come with commentary from Fred Savage and Danica McKellar. As we watch shots of the first kiss between Kevin and Winnie, we hear remarks about the experience. This sounds like a fun piece, but the outtakes themselves don’t seem very interesting, and the actors’ remarks offer few insights. More Cast and Crew Interviews arrive here. This time we find creators Neal Marlens and Carol Black (30:35) and actors Dan Lauria (22:17) and Alley Mills (23:30). Across these, we learn about cast/performances, music and the use of the narrator, period elements and the series’ look, sets and locations, the impact of various producers, sets and locations, and a mix of show-related topics. All three chats continue to bring us good info, but the Marlens/Black program works best, as it digs into behind the scenes elements well. Bonus Disc One ends with the 29-minute, 53-second When A Man Loves a Woman. It features Savage, Danica McKellar, Bianculli, Black, Mills, d’Abo, Perry, Marlens, Saviano, Topolsky, Brush, David M. Stern, Crystal McKellar, Dinner, Nachbar and Lauria. This show examines the Kevin/Winnie relationship in its various permutations. Inevitably, some of this repeats from prior pieces – the characters’ first kiss has already been analyzed to death – but we locate enough new material to turn this into a likable program. When we head to Bonus Disc Two, we start with Have a Neat Summer, another segment from the May 2014 cast reunion. It goes for 18 minutes, 26 seconds and features Savage, Saviano, Hervey, Mills, d’Abo, and Danica McKellar. They discuss their families, cast, characters and performances, and memories from the set. The latter category dominates to make this an inconsequential but likable piece. My Generation: The Kids Grow Up runs 29 minutes, 45 seconds and includes Savage, Topolsky, Green, Danica McKellar, Marlens, Schwimmer, Nachbar, Crystal McKellar, d’Abo, Hervey, Saviano, Brush, Mahaila McKellar, Topolsky, Dinner, Perry, Lauria, Cook, Daniel Stern, and Mills. “Generation” takes on the series’ young guest actors as well as life for kids on the shoot. Inevitably, some of this repeats from earlier clips, but “Generation” manages a useful view of the atmosphere during the shoot. Additional cast and crew interviews materialize on Bonus Disc Two. In this batch, we get actors Josh Saviano (49:16) and Jason Hervey (26:36) as well as writer/producer David M. Stern (36:01) and producer Bruce Nachbar (30:04). These offer observations about specific episodes, more cast/character/story notes, and related topics. All four offer interesting material, but the chats from Stern and Nachbar fare best because we’ve heard the least from them prior to now. By the way, many know of the urban legend that Marilyn Manson played Paul. Saviano briefly alludes to this in his interview. I wish he’d talk about that more, as it’d be fun to hear his perspective on the subject. Two featurettes arrive on Bonus Disc Three. Bookends: Kevin and Paul takes up 14 minutes, 14 seconds with comments from Brush, Mills, Saviano, Savage, Bianculli, Meldrum, David M. Stern, Picardo, Perry, Marlens, and Black. As implied by the title, the program looks at the Kevin/Paul relationship and connected areas. This gives us a better than average take on the Paul character and becomes a good short. Both Sides Now: The Music That Made the Moments lasts 17 minutes, 57 seconds and includes Savage, Saviano, Schwimmer, Lauria, Hervey, Bianculli, d’Abo, Meldrum, Crystal McKellar, Marlens, Brush, Nachbar, Walden, Black, Stein, Daniel Stern, Mills, Danica McKellar, Perry, Green and Daniel Stern. “Now” reflects on the series’ use of music, but don’t expect a ton of insights. We get a few decent notes but mostly all involved do little more than praise the song selections. Should you expect more cast and crew interviews from Bonus Disc Three? Definitely, as we discover material with actor Seth Green (9:36), producer Ken Topolsky (32:44), composer WG “Snuffy” Walden (18:04), TV critic David Bianculli (28:35) and director Michael Dinner (34:33). These cover the usual topics, though they tend toward more “behind the scenes” moments given the absence of actors other than Green. All turn out to be interesting, though someone should tell Bianculli that Breaking Away and Wonder Years didn’t come out the same year; the former predates the latter by almost a decade. At long last, we come to Bonus Disc Four and a featurette entitled I Love You For Sentimental Reasons. In this 22-minute, seven second show, we hear from Brush, Hervey, Danica McKellar, Saviano. Savage, Mills, Lauria, d’Abo, Perry, Cook, Crystal McKellar, Dinner, Bianculli, David M. Stern and Black. The featurette refers to supposed “fan-favorite” shows and gives us cast/crew comments on them. These moments can tend toward self-congratulation but we still learn some good notes along the way. What would we do without more cast and crew interviews? Bonus Disc Four includes info from actor Daniel Stern (26:41), Danica and Crystal’s mother Mahaila McKeller (9:27), key grip Skip Cook (23:31), location manager Alicia Alexander (11:50) and writer/producer Mark B. Perry (52:03). Expect content similar to earlier interviews, with notes about various episodes, how people came to the series, work specifics and valedictory thoughts. Once again, the interviews satisfy, with Alexander as possibly my favorite just because she touches on topics not much discussed elsewhere. The package includes a few non-disc-based materials as well. Two booklets cover episode synopses with additional comments/details about the shows. These provide a nice array of details and observations. In addition to magnets that reflect series’ characters/quotes, a yearbook appears. It features a short essay from Marlens and Black as well as “inscriptions” from cast/crew, photos, archival materials and other tidbits. The yearbook finishes this terrific package well. Much beloved after almost three decades, The Wonder Years provides an endearing, enjoyable take on the “coming of age” narrative. Yeah, it can become a bit sentimental, but it stays insightful and charming most of the time. The DVDs present iffy picture and acceptable audio along with a stellar roster of bonus materials. I wish the shows offered stronger visuals, but I’m still pleased that the package brings home the series in a mostly satisfying manner.